Yet another golf game. 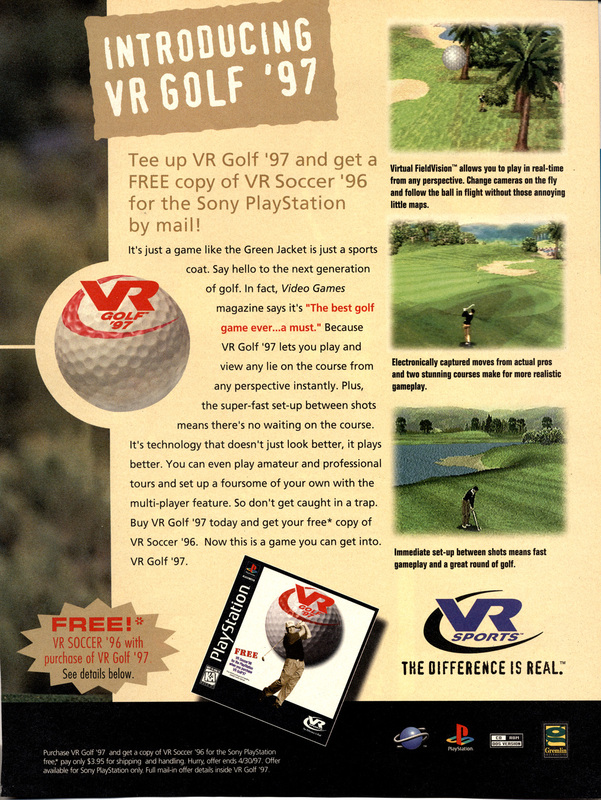 That’s how I think of VR Golf ’97 (known as Actua Golf in parts of the world other than North America). As you could probably guess, I’m not the biggest fan of golf games. I don’t play golf in real life either though I don’t mind the occasional round of miniature golf. To be fair, I’m not a big fan of sports games in general and for a golf game, this isn’t bad. There was a sequel to VR Golf ’97 but it was titled Fox Sports Golf ’99 and released for the PlayStation and Windows. Ratings for it were not so great though and this would be the last game in the series. Far better golf games have come along since but if you want to give this one a try, you’ll have to track down an original. The PlayStation version is a little better in that the graphics are a bit smoother and is also probably cheaper and easier to find. 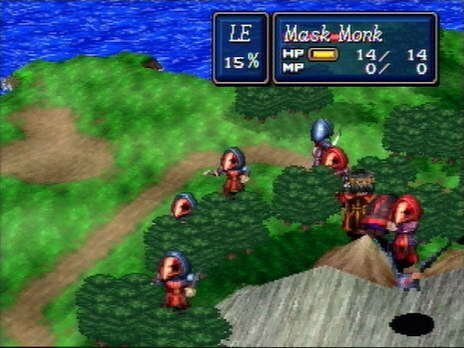 Shining Force 3 is a tactical RPG released in 1998 for the Sega Saturn. If you are more familiar with the PlayStation, think something along the lines of Final Fantasy Tactics. There isn’t much in the way of puzzles to solve and the game consists mostly of exploration and battle. There are a fairly wide variety of Shining Force games and most are well thought of but the core tactical RPG series represents the best of the bunch in my opinion. This third game in particular was ranked highly by the critics. The North American audience was lucky to get this one but they were kind of left out to dry too. 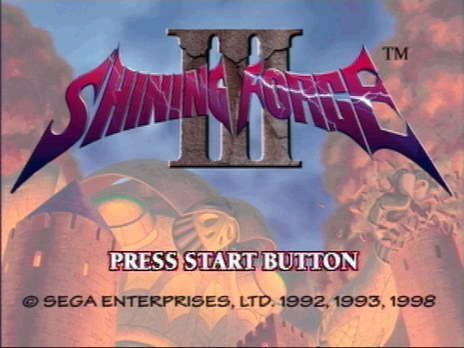 In Japan, there were three volumes to Shining Force III but only the first volume was released in North America. 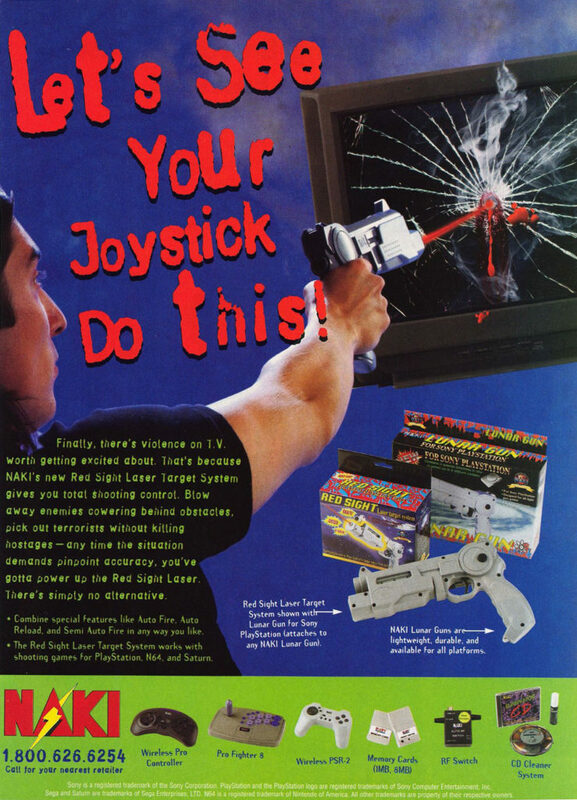 This probably had more to do with disappointing sales of the Saturn in general than the performance of this game in particular. While the first game in the series was remade as Shining Force: Resurrection of the Dark Dragon for the Game Boy Advance in 2004, the third game has not been remade or re-released as far as I know. Unfortunately, later games in the series are more action based and not at all similar to the original trilogy. 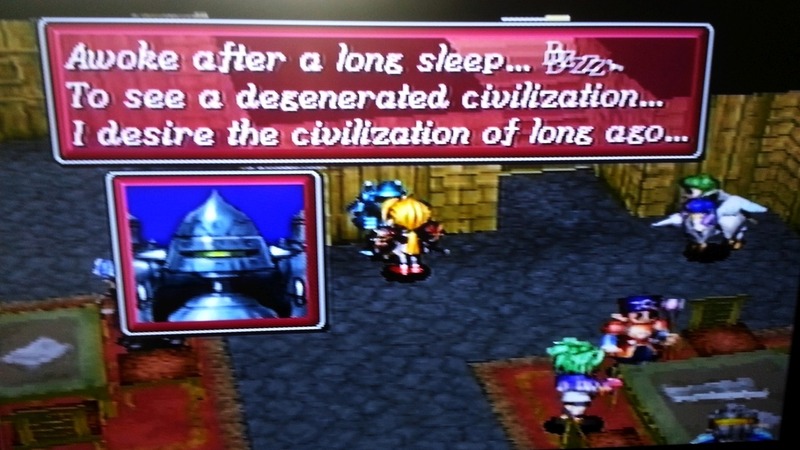 You will have to hunt down an original copy for the Saturn or try emulating it if you want to give this RPG a try. Fans of RPGs, particularly of the turn-based tactical variety should not pass this one by (or the first two games in the series for that matter).